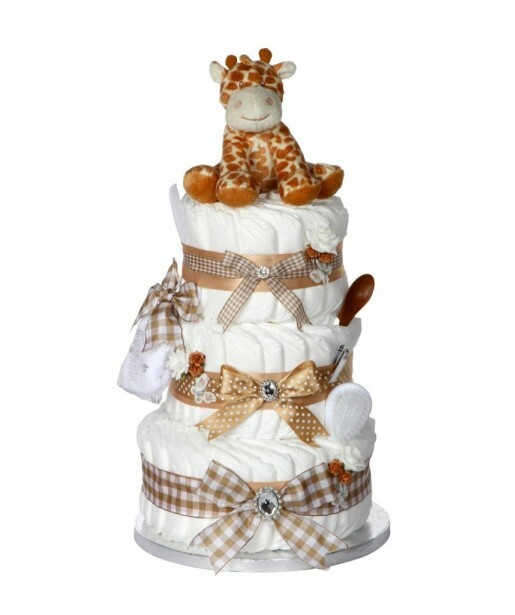 Our Signature Three Tier Unisex Nappy Cake is fully loaded with nappies and is beautifully decorated with FIVE newborn baby essentials. 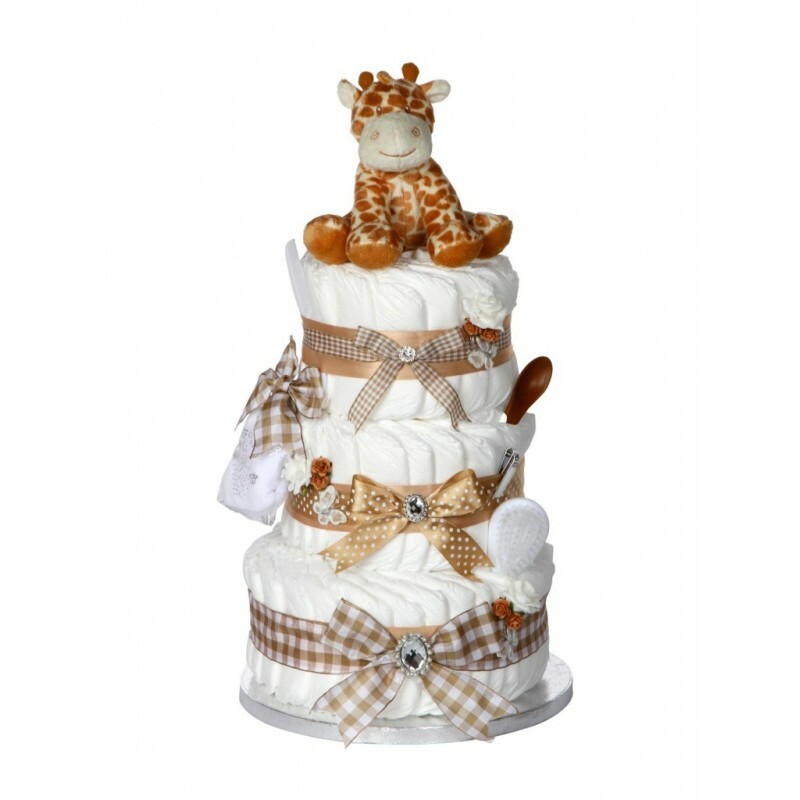 A perfect starter kit, for the proud new parents. 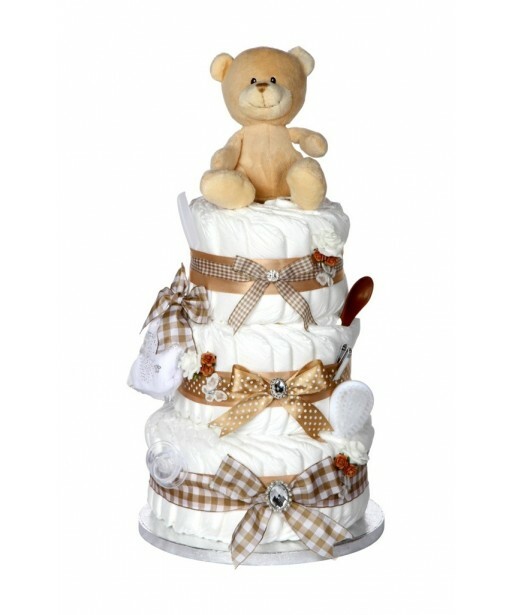 This deluxe three tier colour coordinated nappy cake combines elegance and practicality in one and is beautifully finished with soft satin ribbon and embellishments; this truly is a gift you will be proud to give.